“Bernie-sanders-university-of-chicago-1962” by Source (WP:NFCC#4). Licensed under Wikipedia. This entry was posted in 금융, 중앙은행 and tagged Bernie Sanders, fed, 연방준비제도 on 12/30/2015 by sticky. 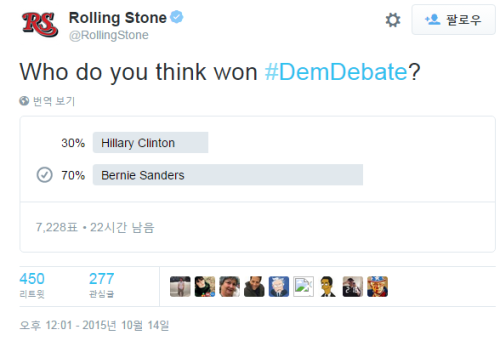 This entry was posted in 국제정치 and tagged Bernie Sanders, Hillary Clinton, Rolling Stone on 10/14/2015 by sticky.